Had a great lunch last Sunday at the place of a close family friend. The spread was large, but this particular dish called Chingrir Muitha, caught my fancy, mainly because of the ease of the preparation and its utter tastiness. 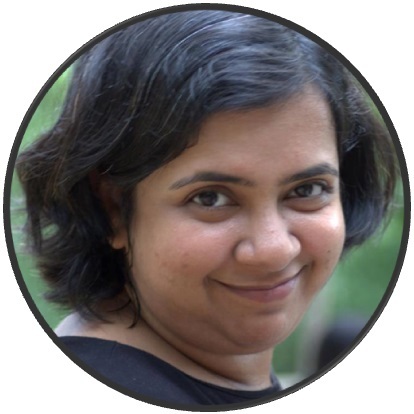 In my mind Muitha preparation was always very hard, so I never bothered to find the recipe out. But when my friend described the steps while we were relishing this dish, I thought of trying it out. And voila… beautiful as ever! 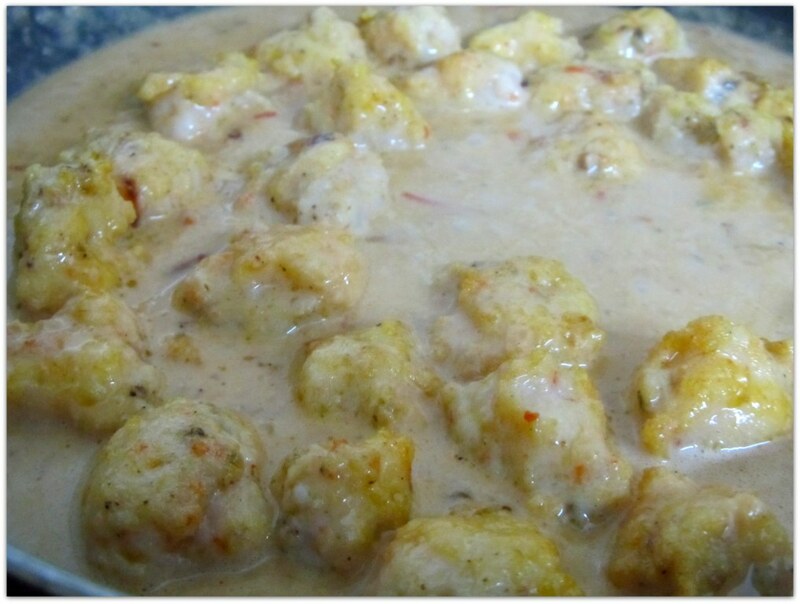 For all the non-Bengali, Chingri is Prawn and Muitha symbolizes balls. Muitha literally means a fist. 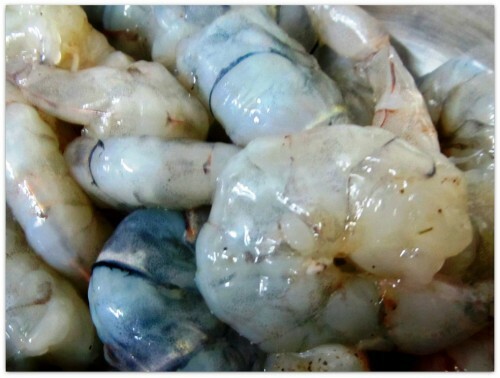 First thing you need to do is to clean and devein the prawns. You do not need to marinate them at this stage. Peel both garlic and ginger. In a grinder add the garlic and 2 tbs of water and blitz till you get a smooth paste. 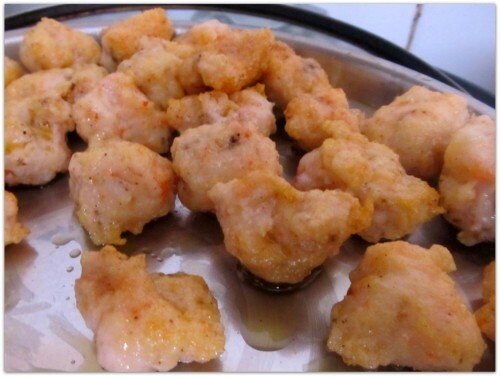 We are going to use 2/3 of the garlic paste for the prawn balls and 1/3 for the gravy. 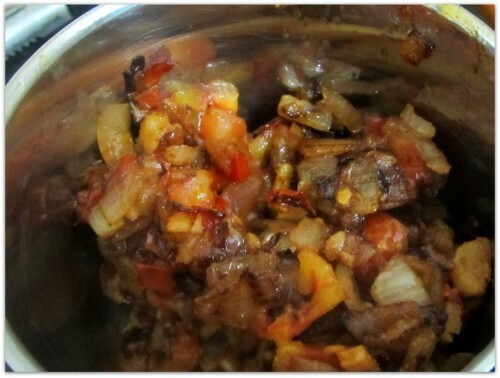 Roughly chop onion, tomato and ginger and keep them aside. We will use them for the gravy. Now in a blender add all the prawns and 2/3 of the garlic paste and blitz till you get a fine paste. You may be surprised to know, it took me only 3 short burst in my grinder to get the result I was looking for. Remove the prawn paste from the grinder and add salt, black pepper powder, mix them well and keep aside for 5 mins. Next we need to prepare the balls. That’s easy; just be prepared to handle the sticky prawn paste 😀 . Make small balls from the paste, I made them 1 inch in diameter. If you make bigger balls, there can be a chance of a raw center and a hard and chewy exterior. The paste of prawns also take the same amount of time to cook as the whole ones, and that time can be noted as short 😉 . 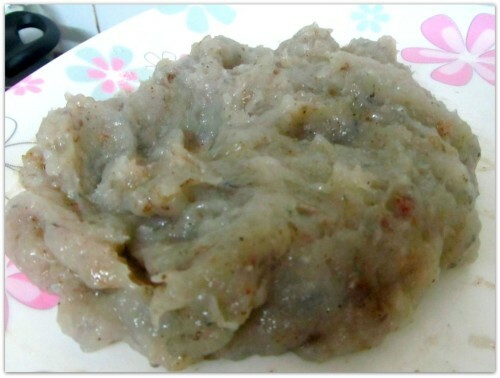 Again, I was surprised to find out that prawn paste can be so sticky that there is no need to add any binding agent like flour or egg. 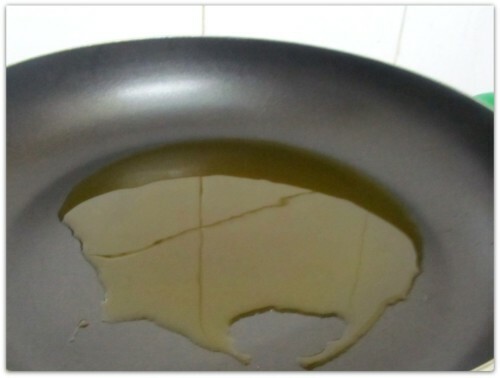 In a frying pan add some oil and wait till it is hot. And the pawn balls are ready. You can actually stop cooking here and serve them with some ketchup or mayonnaise. I have a feeling this can be a great appetizer for a small party. To prepare the gravy, you can use the left over oil from the last step. 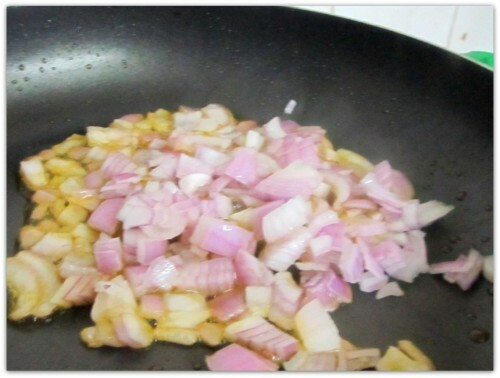 Add the onion in the oil and fry till they are golden. Add the tomatoes next, and wait till they become mushy. If you see closely you will see the small droplet of oils are actually separating from the mixture. Now this step is a proof of my laziness. You can use everything as a paste in the last step. 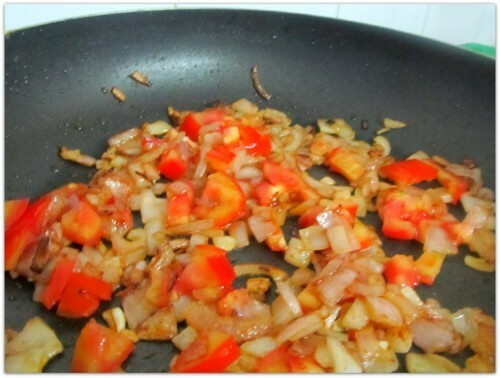 Meaning, onion paste, ginger paste, tomato puree, garlic paste. But that would be too many steps for me. So, what I did, is blitz the final product. Everything done in one step 😀 . 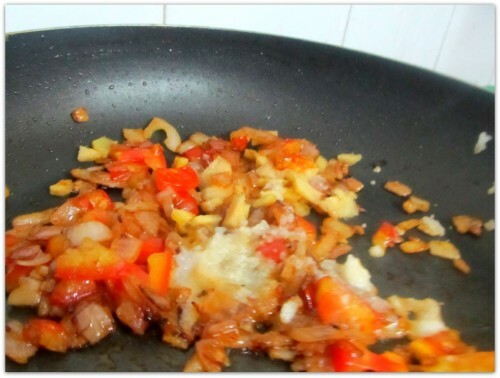 Remove the onion, tomato, ginger, garlic from the pan to a blender and blitz few times to get a masala paste. 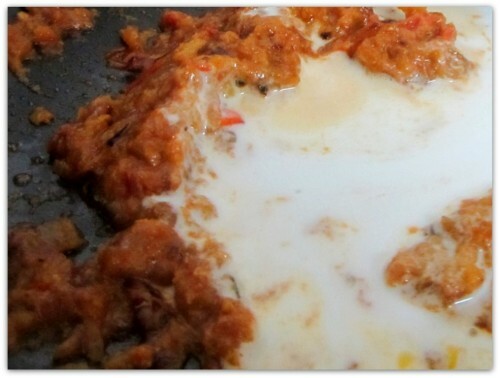 Now, put the paste back to the frying pan and add the coconut milk and mix well. Let the gravy simmer for couple of minutes. 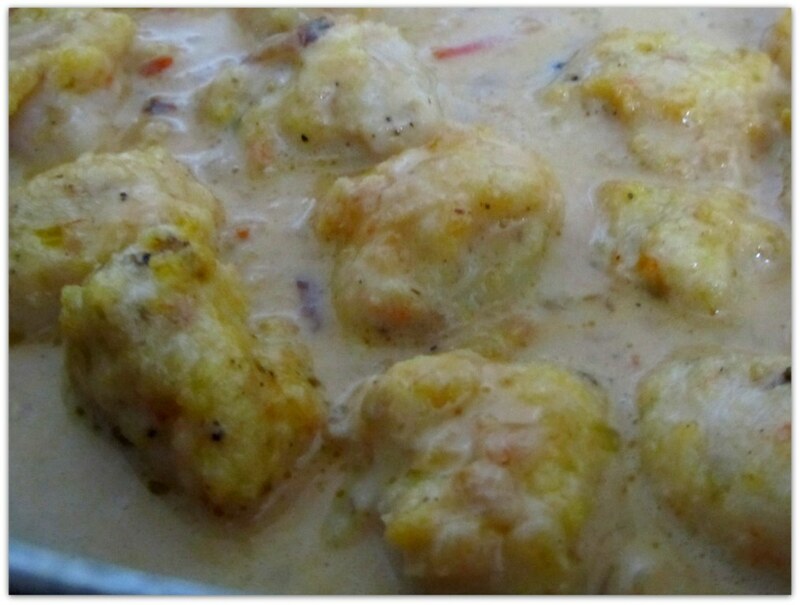 Now you can add the prawn balls in the gravy. Clean and devein the prawn. 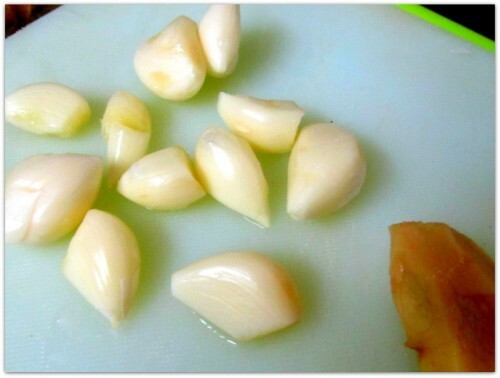 Peel the garlic cloves and make a smooth paste. 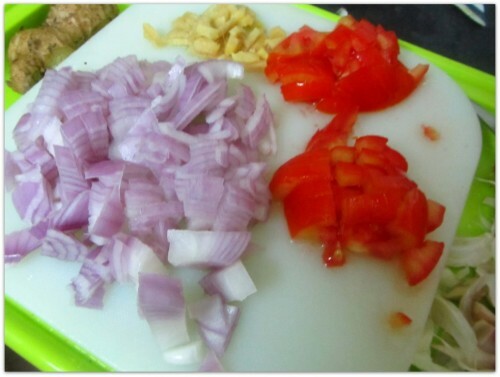 Cut onion, tomato and ginger into small pieces. 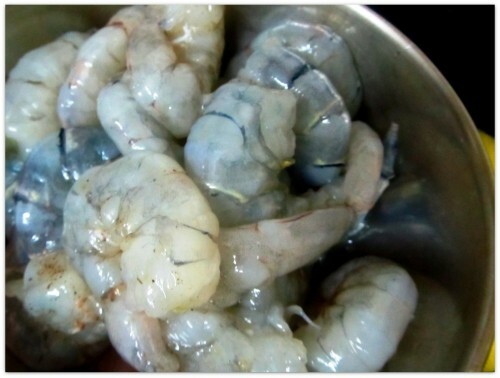 Make a paste of the prawns using a blender. 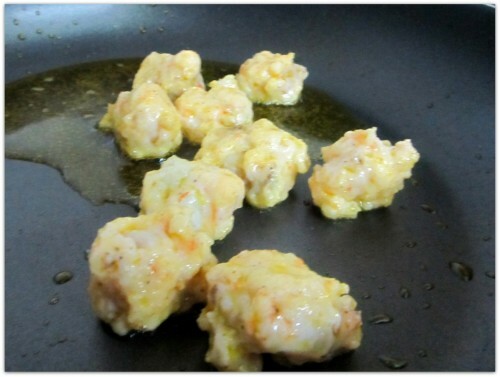 Add salt, black pepper powder and 2/3 of the garlic paste in the prawn paste, mix well and keep aside for 5 minutes. 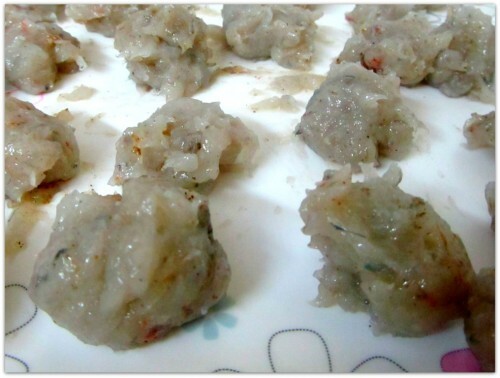 Make small 1 inch diameter balls from the prawn paste. In a pan heat some oil and add the balls. Fry both the sides till done. Keep them aside. 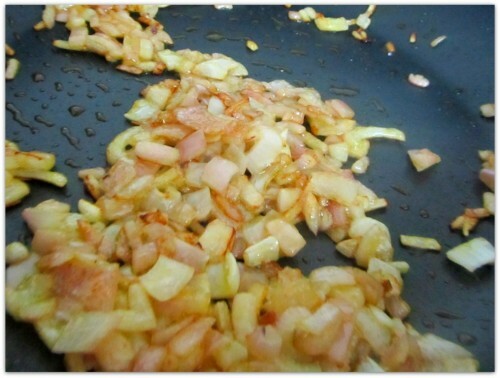 To prepare the gravy, add the onions in the left over oil. Fry till golden. Add the gingers and rest of the garlic paste. 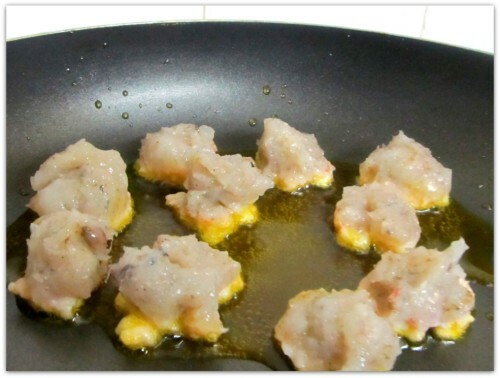 Cook till oil parts. 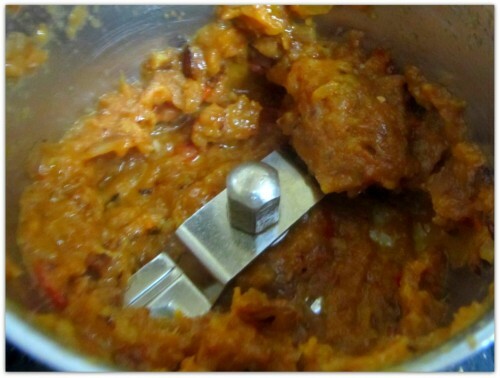 Put the masalas in a blender and make a paste. 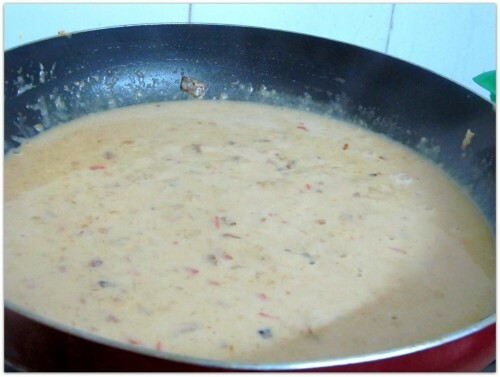 Return the masala in the pan and add the coconut milk and simmer for couple of minutes. 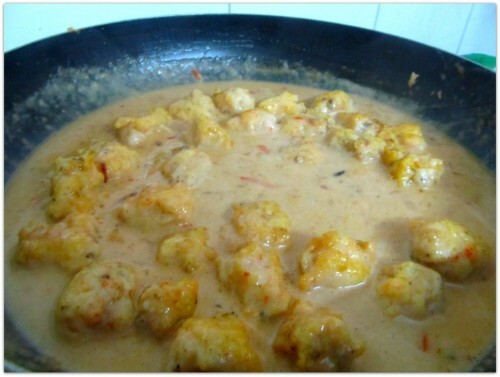 Add the Prawn balls and mix. Your Chingrir Muitha is ready to serve.